Welcome to Plumbing-Training.info’s Job Board! 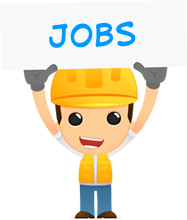 We’ll help you find the latest plumbing jobs from around the UK. We go out and track down the latest job listings from the top job boards in the UK to save you time. Some of the jobs have not been posted on Plumbing-Training.info/Jobs. They will be summaries only and be clearly marked with the source website’s name and our visitors will be sent to the job board listing. If you would like to post a plumbing job with us simply register with us and you can post your job for free.